Click here to learn more about this lightbulb! 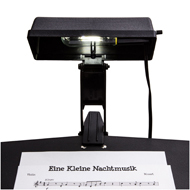 Clip on cordless LED music light, the Kliplite LED music stand light is the most most powerful music light on the market. 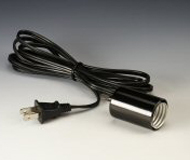 Click here to learn more about this music light! Fully adjustable music light, the Universal Kliplite model UKL/II/EU features a injection molded nylon/glass shade. 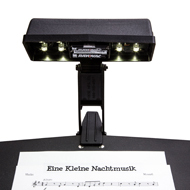 Upgrade your current older model Kliplite music light to the new LED cordless Kliplite music light. Going cordless has never been easier with Kliplite! Click here to learn about upgrading your Kliplite! Factory replacement cordset for your current Universal Kliplite models UKL/95/EU and UKL/II/EU. Replace your cordset quick and easy on your Universal Kliplite music lights. Click here to learn about replacement cordsets! 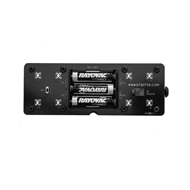 Looking to save the batteries on your current cordless LED Kliplite music light? Try one of our cordless LED music light AC power adapters, just plug it in when you are near an outlet and then unplug to go cordless. 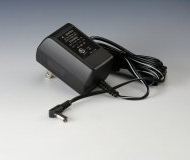 Click here to learn more about the LED AC adapter!